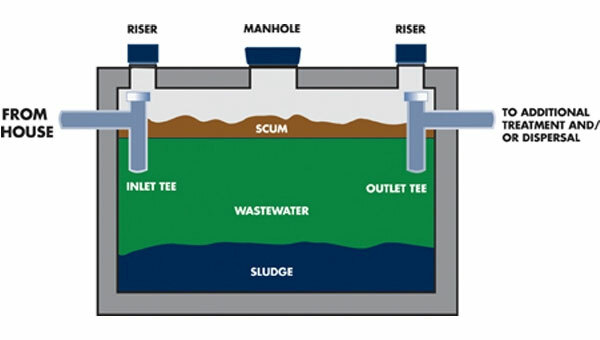 No matter the property size or job type; Residential, Commercial or Industrial Sanitary, Cesspool installations are welcome, we have the excavation and crane service equipment ready to go allowing for easy turn key solutions to all drainage related issues because as you know time is money and there no faster more effective team in the business. Cesspool Pumping? Cesspool Installation? We Do It All. We provide aeration and rooter services for homes and businesses throughout all of Long Island, Suffolk County. We also provide cesspool inspections to determine what services might be required for your cesspool. Cesspool not working? We can help. Our Bio-Clean bacteria packets are added monthly to your tank by simply flushing the contents down the toilet. They provide billions of unique, proprietary micro-organisms and enzymes. These little guys work day and night to naturally break down solids that can cause backups and clogs. Bio-Clean is a natural product that is safe for people, pets, and your plumbing. Cesspool need treating? No job is too big or too small. We can handle all your Drywell and Catch Basin needs. We clean, vacuum, repair, replace and install wells and basins as well as the lines leading to and from them. A dry well or catch basin is an underground structure that disposes of unwanted water, most commonly stormwater runoff, by dissipating it into the ground, where it merges with the local groundwater. Have a faulty or leaking catch basin? Let us take a look! Waste flows from the home into the cesspool. Organic solids float to the top and inorganic solids sink to the bottom of the tank. Natural occurring bacteria in the cesspool converts the organic solids to liquid. The clear liquid flows out the sides of the tank and into the surrounding soil. Ta da! Came to service cesspool in this snowy nor'easter!! Thank u!! !